This kit includes 82 tools in HD rigid case. 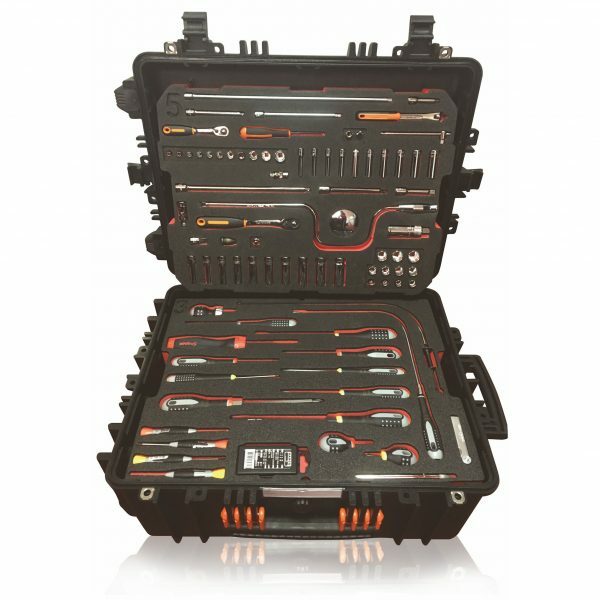 The case is designed to hold small tools in its drawers and medium tools in the upper tray. The toolkit lid is reinforced with an aluminium plate and internally with a metallic grid with clips for tools. 82 BAHCO aviation hand tools inch/ metric,.